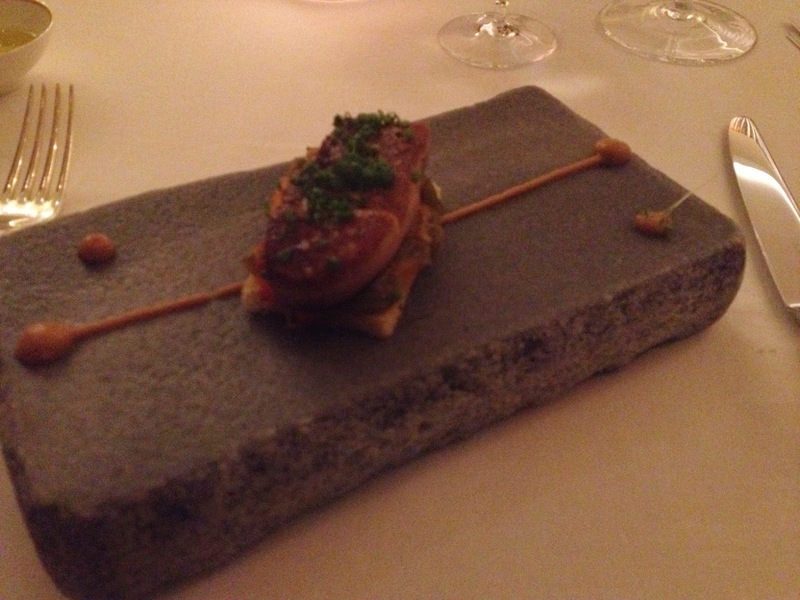 Having tried and loved Aqua at Rosewood (see http://bit.ly/1ku3wv8), I was afraid to try Catalan, its fine dining restaurant, for fear of disappointment. I am sure you know the feeling. It is sometimes better to hang on to a memory than try and create a new one, but the menu created by two starred Michelin Chef Antonio Saez that I viewed in advance, emboldened me to visit it. This is a special restaurant. No doubt about it. You know that as you are about to open the door but you see a silouhette from the inside opening it for you. This impression continues as you see the soft tones of white and beige run through the restaurant. Floor to ceiling windows and lace curtaining confirm you are in a place of refinement. 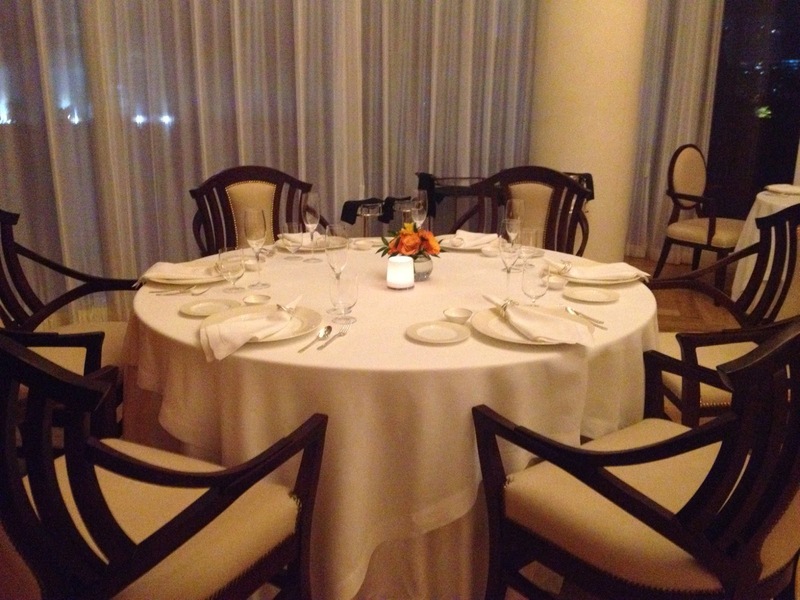 You look around and notice there are only around 11 tables in the restaurant, with no al fresco option. Intimate, is the thought that enters your mind. You glance at the exquisitely white and crisp linen, graced with the Dibbern china and Christofle cutlery, but your attention drifts to the waitresses, kitted in what appears to be ivory coloured one pieces and brown heels, low enough to be comfortable but high enough to scream of elegance. Yes, Catalan is a special restaurant indeed. 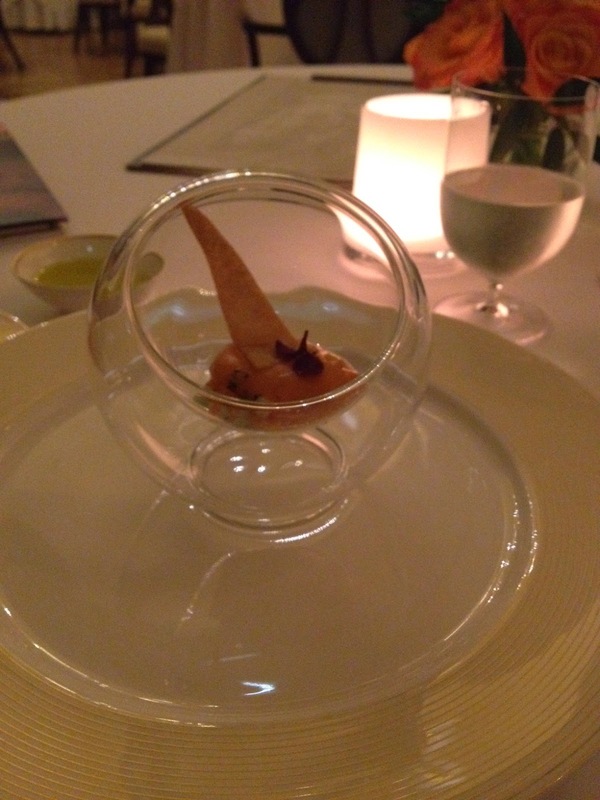 But I suspend fascination with all these arresting but secondary aspects and focus on the food. It is after all, a restaurant. Pan cone tomate, liquified olive and croquette. 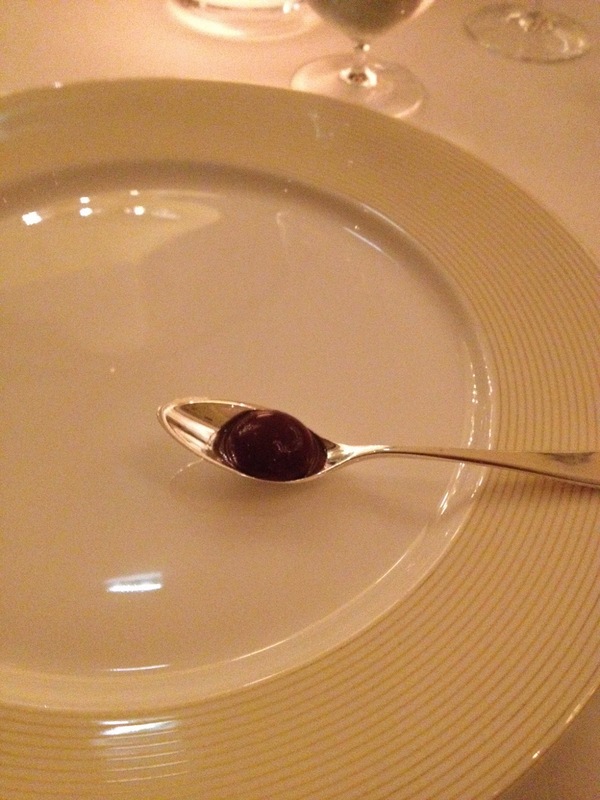 The liquified olive left me wanting another. 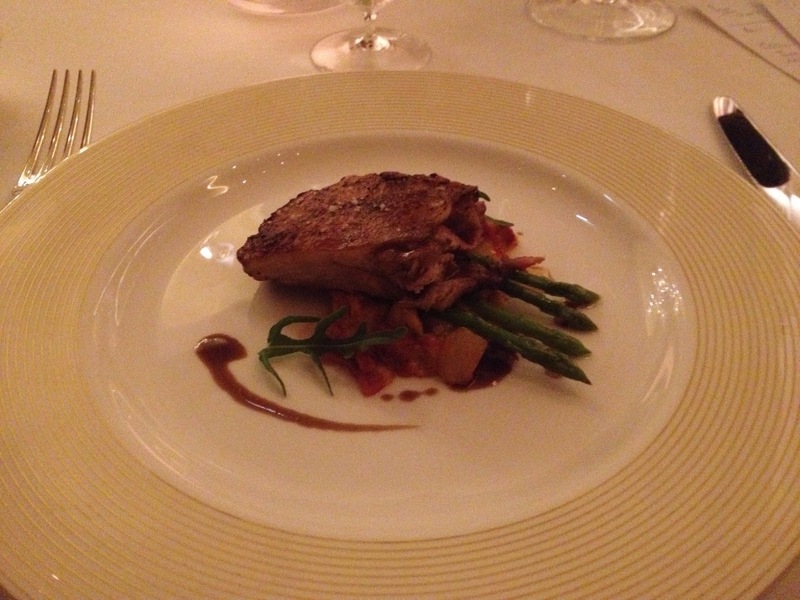 To begin with, I went with half portions of the smoked leak soup and roasted steak of foie gras. 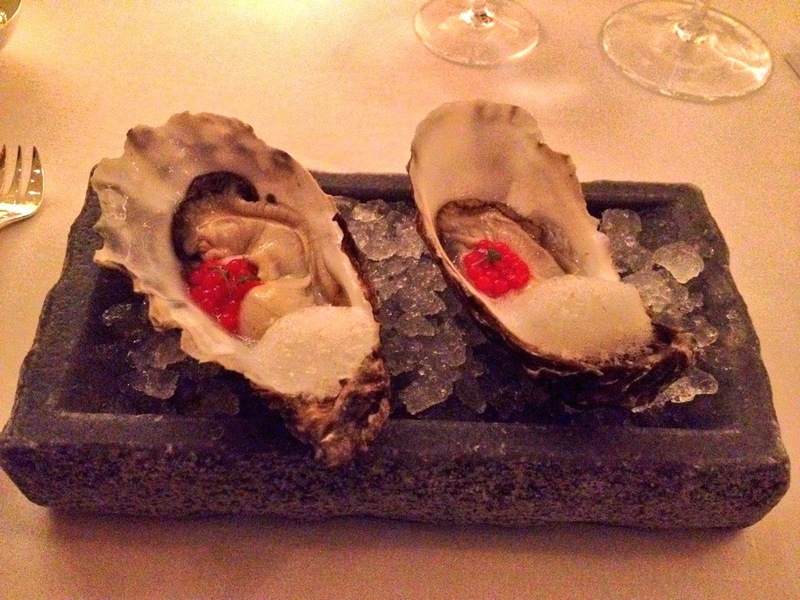 Also, I had the oysters, mainly curious about the presentation and shucking. However, before that I had a cucumber gazpacho to awaken my palate - cool and refreshing. This was followed by tapas comprising pan con tomate (piece of bread with olive oil and tomato topped with a bit of salt - a Catalonian classic), croquette and liquified dark olive, beautiful presented on a teaspoon. The pan con tomate was generously salted, an indication of some of the dishes to come. Catalonians love salt. So do I! This was followed by an immaculately presented tomato based tapa with small chunks of red bell pepper and garlic. What stood out for me apart from the taste of these two tapas, was the presentation. 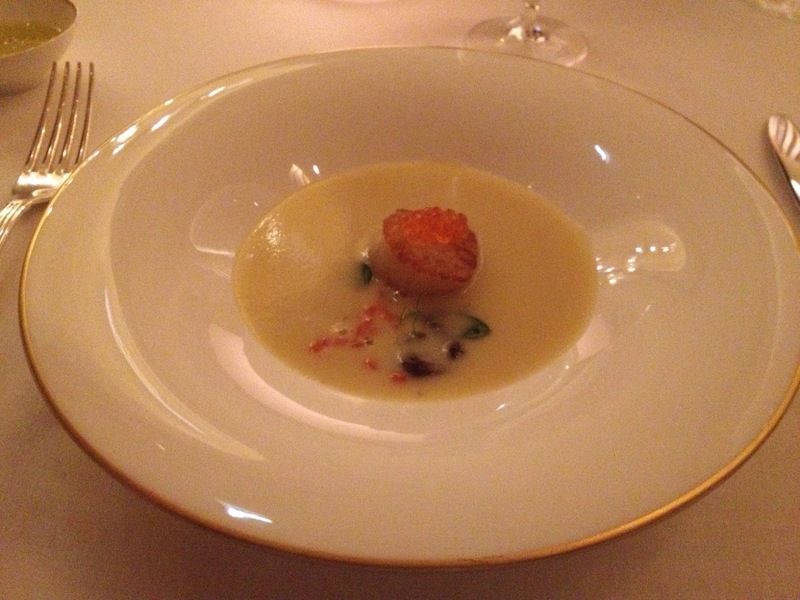 The soup was a testimony to chef Antonio's creative slant: flawlessly pan seared scallops topped with roe and with sautéed mushrooms and carrots underneath, are brought in on a serving plate. The waitress then pours the chicken broth over this, creating a soup I thoroughly enjoyed. Perfectly warm. Perfectly tasty. Next, I was excited about my oysters, mainly to have my faith in shuckers restored after having some poorly shucked oysters in the last week. The oysters though, on this occasion, adorned with blood orange caviar, were firm but slippery and needed no encouragement as they slid down my throat. Perfect salinity. Faith restored. A clean shell testament to that. Beautiful. With Spain one of the growing major players in the wine industry, it is no surprise that the restaurant boasts a wine list that celebrates Spain. While Champagne is available, a wide range of Cavas will ensure that you can have the bubble without leaving the Spanish theme of your evening. 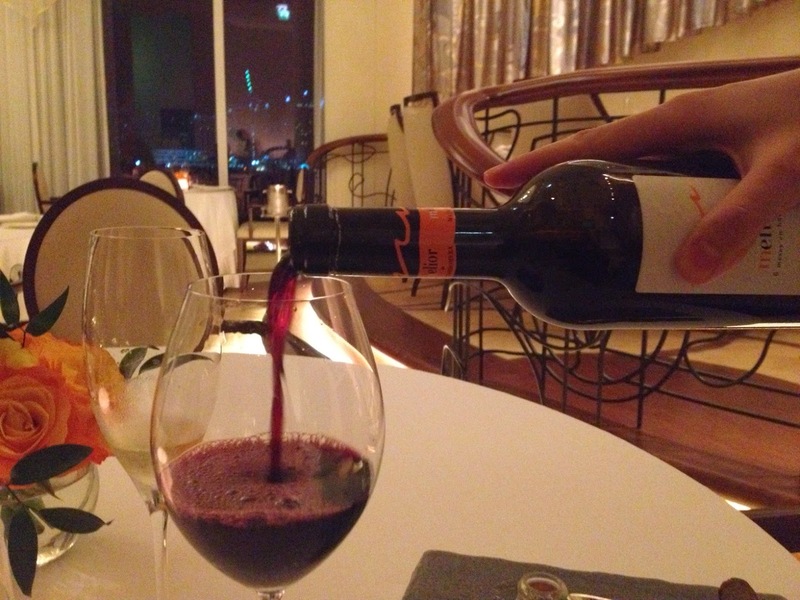 Furthermore, they have an equally impressive choice of reds by the glass, with the Pas curtei, a blend of three grape types, an outstanding option, brimming with fullness and rich colour. 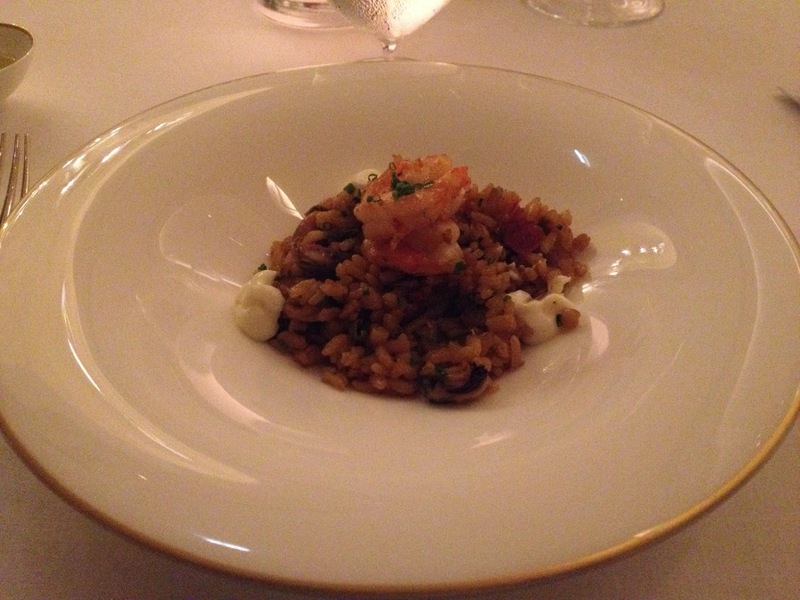 What is a Catalonian dish without a seafood paella? It is a dish that unites all Spaniards. Chef Antonio provided me with a smaller than normal portion, as he knew I was on a mission to experience as many tastes as possible. The finished dish had just the right moisture and firmness in the rice, with the ingredients of mussels and shrimp in particular, standing out for retaining their more natural taste, offset by the taste of the rice. The alioli sauce provided that bite of garlic in the rest of the dish - A sumptuous rendering of a Spanish classic. The paella was also nicely salted. During all of this, the background music had a definite but not exclusive bossa nova feel to it and complemented the evening, with cool and romantic elements to the choice of songs. Finally, for my meat main, I ordered the slow cooked and oven roasted milk fed lamb shoulder - again a perfect portion, less than the 400g it would normally be. The latter, from Valladolid, served on roasted potato with goat cheese, garnished with asparagus and rucola, was unbelievably good. It was crispy on top and very tender underneath. Flavouful too. Crispy and tender lamb shoulder. As for service, it is timely, attentive and slick. The waiting staff are knowledgable and chatty, but not annoyingly so. It is hard to believe they have been here for only 6 months since the restaurant opened. There is a generally sharp but endearing confidence evident, especially in the waitress who guided me through my evening. She boldly recommended dishes with a refreshing honesty. So, when she highlighted her three best loved desserts and I went with two of them as half portions, I knew I was in safe hands. A taste of catalonia, my torrija. 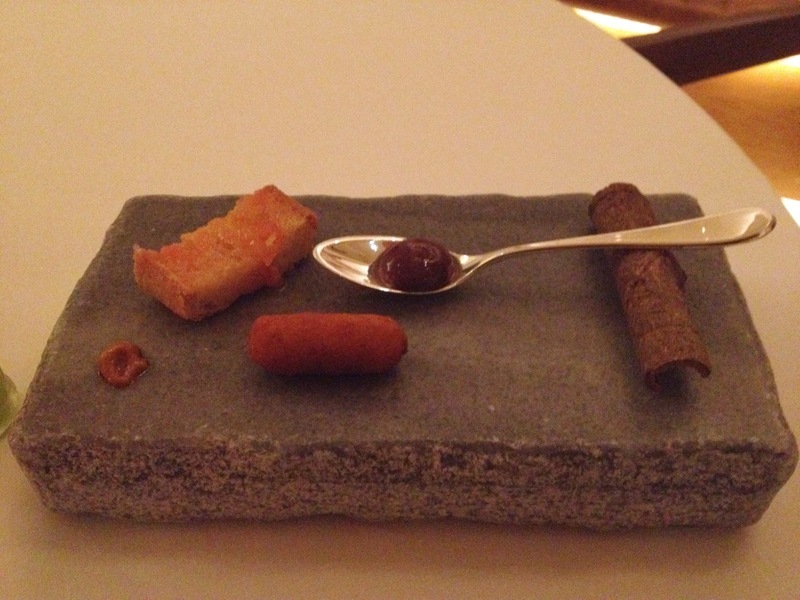 First the traditional classic, smoked caramelized torrija with plum chutney and pomegranate air, was delicious. As it was placed in front of me, the smoky caramel could not be missed. I can still hear the crackle of the caramel. Yum. 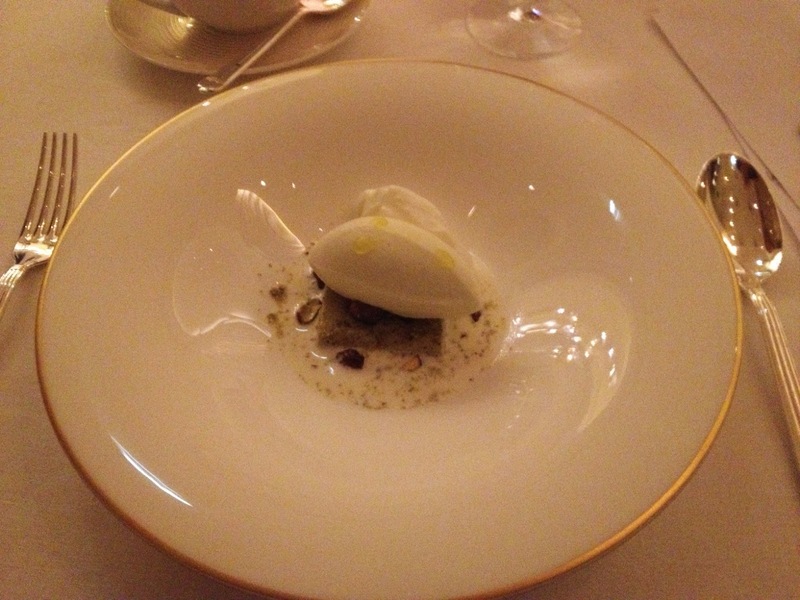 Secondly, Chef Antonio's unique creation, the extra virgin olive oil ice cream, was fittingly, my last dish for the night. It was a collage of tastes with the pistachio taking centre stage in his creation. Pistachio biscuit, roasted pistachios with a bit of sugar and pistachio dust make their way in to the bowl, along with the subtly-flavoured ice cream with an amazingly light texture and tangy yogurt foam. All of this is completed at your table as the waitress pours cardamon soup. Individually, these tastes are pleasurable. Combine them and you cannot help closing your eyes, being suspended in a moment of, what shall I call it, delight and happiness. No overstating here. 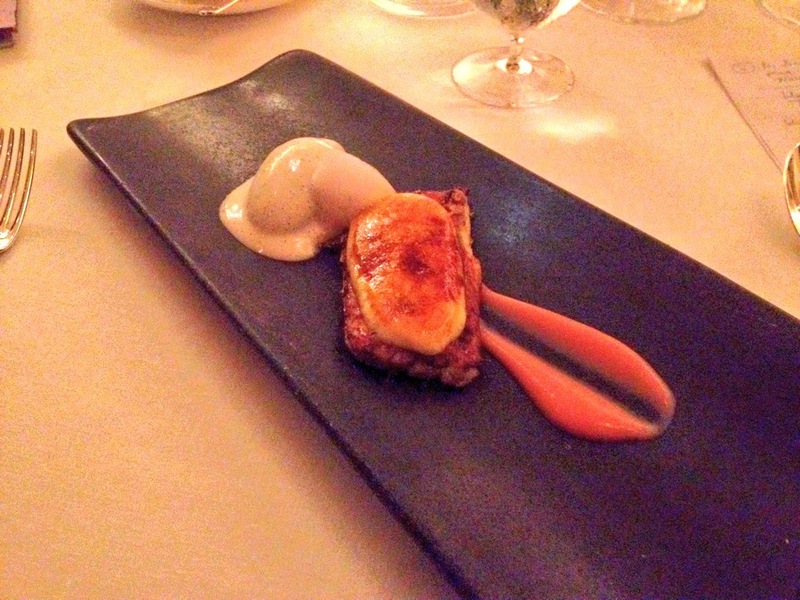 There are times when it is really hard to describe a dining experience. You seek the right words. You hit the backspace button, afraid that the word you just chose is the wrong word; that it does not quite capture the taste or feeling. I realized that Catalan was more than the satisfaction of a physiological need when I wiped my mouth one last time at the end of it, emotionally exhausted. That is how good it was. Catalan is a fine restaurant and presents Abu Dhabi with another fabulous fine dining option for the special occasion, be it a birthday, an anniversary, romantic night out, or simply a desire to celebrate the joy of being alive!